A military operation against the government of Muammar Gaddafi, conducted by NATO in 2011, led to a civil war and split the country into three parts with different governments and various militant groups. A report, made by a group of Libyan nuclear experts, says that NATO forces missiles with depleted uranium. 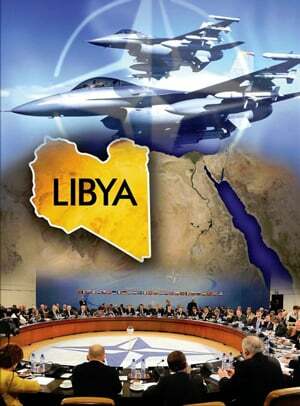 “We conducted a study at one of the headquarters of the Libyan army, which was bombed by NATO. There were places with increased levels of radiation. After precise measurements we found that this radioactivity was a result of using an assembler with depleted uranium,” Nuri al-Druki, an advisor to the Libyan committee for the environment and nuclear energy told Sputnik. He also stated that the Libyan scientists would appeal to the International Atomic Energy Agency (IAEA) for a more extensive investigation. In February 2011, mass demonstrations began in Libya demanding the resignation of Muammar Gaddafi, who had ruled the country for more than 40 years. The conflict later developed into an armed conflict between government forces and rebels. After a UNSC resolution, a coalition, led by the US, France, UK and other countries, conducted airstrikes against Libyan government forces. Due to those operations, rebels deposed and killed Gaddafi, starting an ongoing civil war between regions, tribes and militant groups. An absence of the government allowed multiple terror organizations, such as Daesh*, to operate in the war-torn country. *Daesh (also known as ISIS, ISIL, Islamic State) — a terror group banned in Russia.